The paradigm to which the human race must aspire, is one that offers love, care, and compassion to all mankind and all of nature. If selfishness dominates in our lives, we easily fall victim to greed, and once we enter that terrain, corruption and abuse of power will almost inevitably follow every time the opportunity presents itself. Therefore selfishness, corruption, abuse of power, and greed (SCAG for short) are intimate bed fellows. In our world today, 870 million people suffer from poverty and starvation. Of those 870 million people, about 21,000 people die every day of hunger or hunger-related causes. When you add to these numbers, the people who are killed or left destitute due to the many wars and conflicts, I think it’s fair to say that the human race is a very dysfunctional family. Even in developed countries, approximately 18 million people live in abject poverty and a very large working class are struggling to survive. The main reason for the existence of the problems described above is the SCAG culture, which dominates in all the political, public service, financial, and religious institutions worldwide. Peter Eigen, the founder of Transparency International, gave a clear insight into this SCAG culture in his TED talk in 2009 – to see a video of this talk, click the following link: http://www.ted.com/talks/peter_eigen_how_to_expose_the_corrupt . 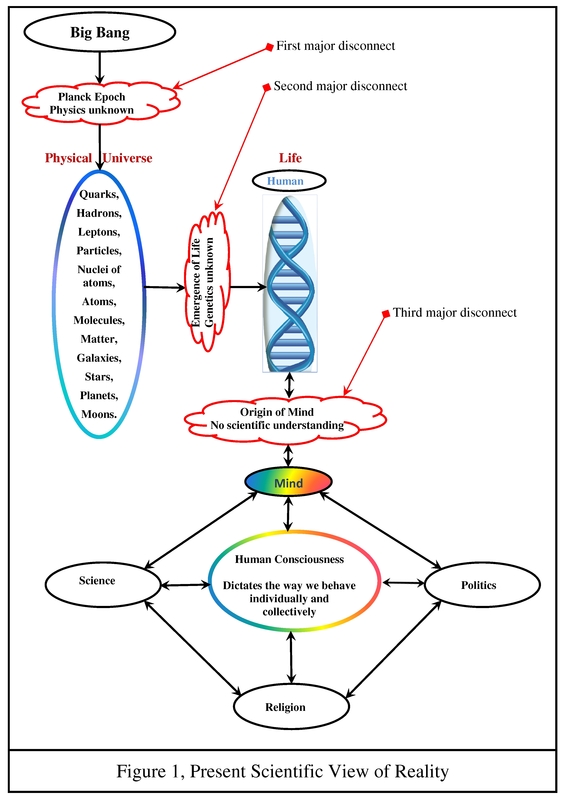 In spite of all the major scientific and technological advances over the past 150 years, and particularly over the past 50 years, human consciousness has not evolved in any meaningful way for thousands of years – the SCAG culture that brought down the Roman Empire two thousand years ago is no different to that which caused the global financial crisis in 2008. It is necessary to state at this point that there are many honest, hardworking, generous people in all walks of life. However the significant point is that selfishness has reached a critical mass level in all societies, which means that not only is it self-sustaining, but it fuels further growth. This ensures that SCAG will always dominate in our main institutions. As stated earlier, selfishness is a natural trait that is innate in every human being; therefore SCAG exists at all levels of every society in the world. The suffering and death inflicted on innocent people by religious fundamentalists who are prepared to kill, maim, and terrorise anybody who does not support their evil beliefs. While we, in the western world, can easily see the results of the SCAG culture in third world and emerging countries, many of us seem to be less willing to recognise the serious consequences of the SCAG culture that exists in all our political, public service, financial, and religious institutions. Again I will refer you to the TED talk give by Peter Eigen in 2009 (http://www.ted.com/talks/peter_eigen_how_to_expose_the_corrupt) which gives a rare insight into the world of corruption at corporate, national and international levels – for example the huge levels of bribery and corruption engaged in by national governments seeking major contracts in third world countries or the massive profits made by arms and ammunition suppliers selling their products to war torn regions of the world. We should also be aware of the massive financial burden that the SCAG culture in our main institutions is placing on the hard pressed working class who are struggling to pay the mortgage, educate their children and have a reasonable quality of life. This burden can best be explained by a simple example. In about 2003 I was listening to the radio while a government representative was explaining the purchase of a jet for the Irish Government. After describing the plane, he went on to say that it would cost approximately €45 million. The radio presenter then brought on the CEO of a major airline, who explained that he could purchase an identical jet – same make, same model, similar flying hours, immaculate condition – at a cost of €18 million. The radio presenter then asked the government representative to explain the cost difference and he responded by saying that they must adhere to strict procurement and tendering procedures and the best price they could get was €45 million. My first reaction was to say that if our procurement and tendering procedures are costing us so much, then change them. However, on mature reflection, I realised that if the political and public service institutions had the same freedom in purchasing a jet that the CEO enjoyed, then the jet could possibly cost us €65 million rather than €45 million – in other words the difference between €45 million and €18 million is the price we are paying to contain SCAG. I have no reason to believe other than that the public servants responsible for purchasing the jet were honest and trustworthy and the reason for the cost difference was the onerous regulations and bureaucracy imposed on them in an effort to contain corruption. As more incidents of SCAG occur, these regulations and bureaucracy will become even more onerous and the cost of containing SCAG will increase.The onerous regulations and bureaucracy also cause frustration and disillusionment among many public service workers, often resulting in low efficiency and poor work ethics – thereby increasing still further the cost of providing public services. This example refers to the Irish public service but can equally be applied to any public service institution in the world. The result of this trend is that while the working class are burdened with ever increasing taxes, there is less money available to provide reasonable public services – for example to educate or young people, to provide an adequate health service, and to take care of the homeless, the infirm, the vulnerable in our society, and so on. I suggest that the fundamental reason for the SCAG culture is the natural trait of selfishness that is innate in every human being. When selfishness gains a foothold in our consciousness, greed quickly follows, and once we enter that terrain, then corruption and abuse of power almost inevitably results whenever the opportunity presents itself. Of course, the opportunity most frequently presents itself to people in power, which is why all our main institutions are dominated by SCAG. Therefore our only hope of eliminating SCAG is to understand why selfishness is an innate trait and what we must do to overcome it. The first step in this analysis is to understand that the belief that selfishness is a fait accompli is underpinned by the present scientific view of reality. The innate urge of the physical aspect to move to lower complexity means that if life is purely physical in nature, then we naturally (default position) offer care and compassion only to ourselves. In other words, this physical aspect of our being is naturally pulling us toward selfishness. Therefore if life is purely physical, then we have no escape from selfishness; which means that SCAG will always dominate in our world. However, to date, we have generally denied this expansionary aspect of our being and therefore there is nothing to counteract selfishness. That is why a culture of SCAG dominates in all our main institutions, which is the root cause of all the poverty, starvation, conflict, war, and suffering afflicting humanity at the present time. At a macro level, scientists now contend that dark energy and dark matter permeate the universe, comprising approximately 96 per cent of the ‘whole’; and that dark energy is responsible for the expansion of the universe – which is still expanding at an accelerating rate. 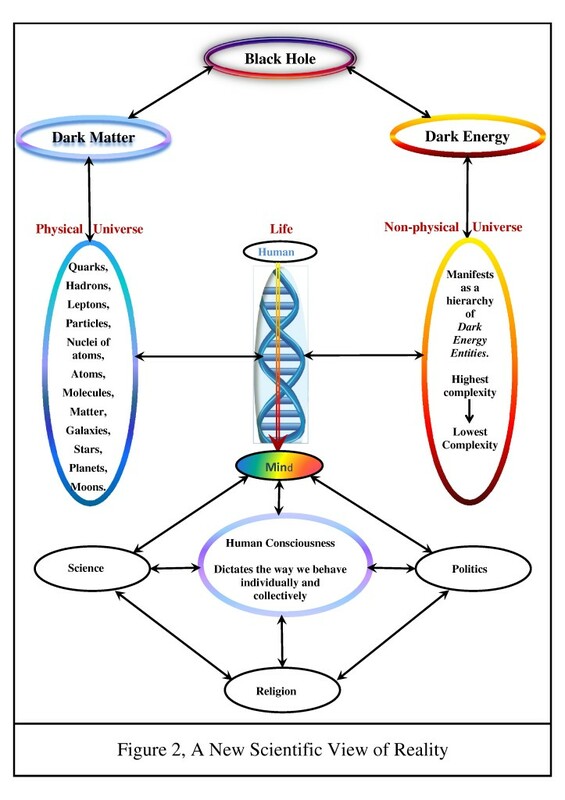 I believe that, with continued research into dark energy, scientists will conclude that it also influences life, that it is responsible for the expansion of human consciousness, and that it is the source of our love and compassion. When this time comes, science can declare that life is influenced by both the physical and non-physical aspects of our being. This reality can then be taught to our children as a scientific fact, rather than as a religious belief (since teaching religious beliefs in schools can be divisive). This view of reality will then seep into our political, public service, religious, and financial institutions. In a relatively short time, this belief will reach a critical mass level, and we will be on our way to a world in which all people will be afforded love, care, and compassion. Over time, this will put an end to wars, poverty, and starvation and will herald a new beginning for humanity. This is Humanity’s path to freedom from selfishness, corruption, abuse of power, greed, poverty, starvation, conflict, and war.